Silicon Oxycarbide (SiOC) have gained significant attention in scientific community and has been adopted in several important fields of technology including Lithium batteries, photoluminescence and interlayer dielectrics. 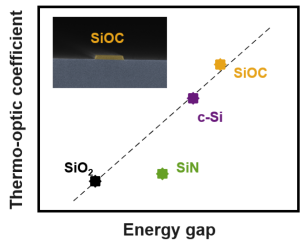 At Photonic Devices Group, Faisal, a PhD candidate with Prof. Morichetti and Prof. Melloni, has developed Silicon Oxycarbide (SiOC), a promising material for integrated photonic circuits with wide refractive index tunability, low-loss and ultra-efficient active tuning. The thermo-optic coefficient of SiOC is one order of magnitude larger than typical dielectric platforms and twice that of silicon. 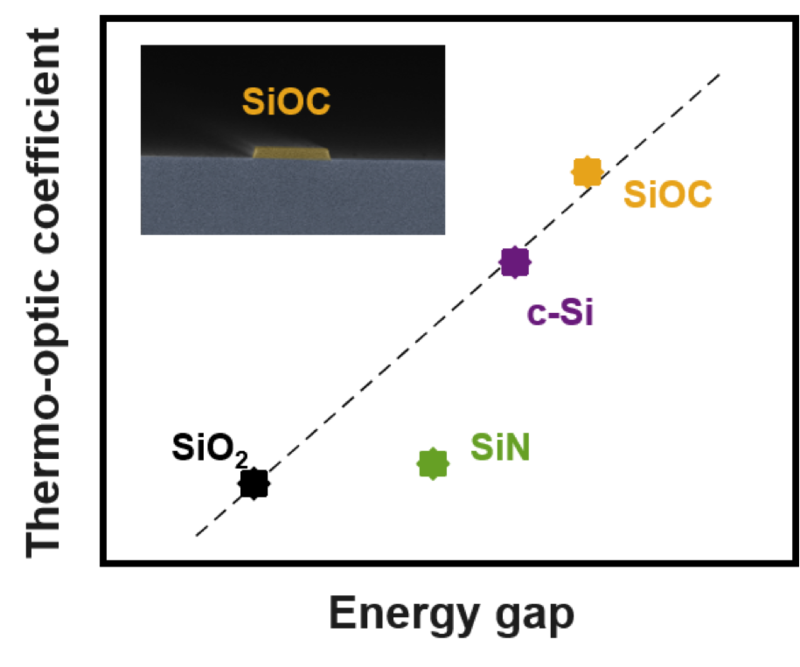 A SiOC thin film was also integrated with classical dielectric platforms to realize efficient phase actuators. This important result is published (link) in the prestigious journal “ACS Photonics”. The research activity has been carried out at Polifab.